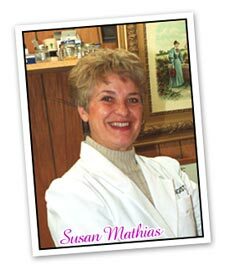 Doll Doctor & Certified Dollologist Susan Mathias. Located in the heart of the beautiful Shenandoah Valley of Virginia, ShenValley Doll Hospital specializes in repair, restoration and care of antique bisque, composition, china head, and papier (paper) mache dolls from the 1950’s and before. Bisque, composition, china heads, wood, cloth, papier (paper) mache, hard plastic and vinyl patients are seen on a regular basis. Whether you need help with a family heirloom or a childhood treasure, I can help you. It is of such great importance to keep these dolls in a good state of repair. These works of art represent a snapshot in time to share with us how our world lived and progressed in the past. The material content of the doll, her costuming, and hair material all give us clues to a society that existed before today. The Doctor welcomes and accepts new patients regularly. The doll can be delivered personally or shipped by the most appropriate means. PLEASE NOTE: I do not work on Barbie, American Girls and various other modern or currently produced dolls. When doll doctors speak of invisible repair, it means that the restoration work cannot be seen from the outside. Any good doll doctor can repair with no visible trace of the work done. Even the paint should be a perfect match to the old paint. At ShenValley Doll Hospital, the doctor treats each doll as if it was her own and makes every repair with care so that you’ll never notice it was ever damaged.